When it comes faster and high traffic web hosting & server management then there is no doubt thatcPanel®/WHM® is leading first choice of every business need. 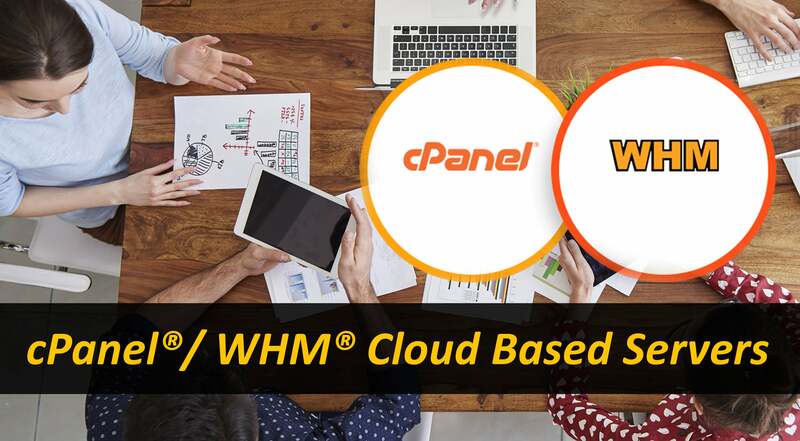 cPanel®/WHM® is a full-featured tool to create, manage and maintain your compute resources and website using a GUI based on your browser choice. Do you need full featured pack of cPanel® /WHM® and CPNginix servers, Get the Ultimate, High performance servers on Hello2Hosting Cloud for your business website? Hello2Hosting is proud to announce cheap and economical Cloud based cPanel®/WHM® control panel to Small and Medium Business. Web based cPanel® control panels gives users to freedom to use computer resources more efficiently and ease of management of controlling database, webservers, email, dns, security and many more. Hello2Hosting offers wide range of cloud servers that comes preloaded with cPanel® and WebHost Manager® (WHM®) with single click to install and manage software’s. These servers come with DDOS protected bandwidth and most advanced security layers that protect your business websites from various hacks. Why to Choose Hello2HostingcPanel®/WHM® cloud servers? Are you facing slowness to your website, need guidance to optimize it, are you looking to reliable, cheap and economical and yet powerful server for your business website? Hello2Hsoting has 100+ data centers location across globe that ensure low latency and awesome user experience. Hello2Hsoting has introduced www.hello2hosting.com and www.hello2hosting.in with its own cloud platforms that give you flexibility to choose OS from marketplace and manage them efficiently with pay as your grow model. These preinstalled cPanel®/WHM® servers give you 4x times high performance as compared to other market competitors. Hello2Hosting servers are crafted with latest and cutting-edgehardware technology, Hello2Hosting cPanel® cloud servers don’t compromise on performance for client data, If you are looking for Fast servers and complete peace of mind, then Hello2Hsoting is the right place for your business website, with 24x7x375 round the clock certified technical support which proactively response and resolve all of your application and migrations assistance in 30 minutes guaranteed. What you get with Hello2HostingcPanel®/ WHM® based virtual cloud servers? Hello2Hosting Cloud based servers provides a WebHost Manager® (WHM®) which enables Administrator, Business User, Developer or Resellers or Hosting providers to full access of servers, these resellers can further resell web hosting services. WHM® is perfect either you manage your server or further resell hosting services. • On-Demand Self-Service– Provisioned with various marketplace integrations, Deploy or provision on demand cloud servers through Web based control panels. • Get started with few clicks– Lunch and deploy cPanel® based cloud servers in just a few clicks and ready to go in 5 minutes only. • 99% Uptime– Certified TIA942 and Uptime certification gives more boost in your confidence. • Best Price/Best Performance – Our cheap and economicalservers are not too expensive to buy and gives you compete worth of your hard-earned money without compromising the performance. • Buy globally– We cater these cPanel® cloud servers in all major currencies. • DDOS protected BW. Our IDS/IPS protect your business website from various hacks in real-time in conjunction with firewalls. Our 24x7x365 days online sales team will further assist you onboarding with preinstalled cPanel® cloud servers, these Cloud servers comes with preinstalled cPanel®/WHM® licenses hence you don’t need to pay any other additional cost. Visit our plans page to explore.